You bought a laptop or a tablet only a couple of months ago. The enthusiastic salesman reassured you that its hard drive capacity was enormous and would last forever. Today, you find that you cannot cram in another movie or a new album of your favorite band onto it. Your files are devouring the memory like a pack of hungry wolves. If you can relate, it’s probably time to separate your contracts, tax returns, balance sheets and other vital documents from the rest of your files and upload them to secure online storage. 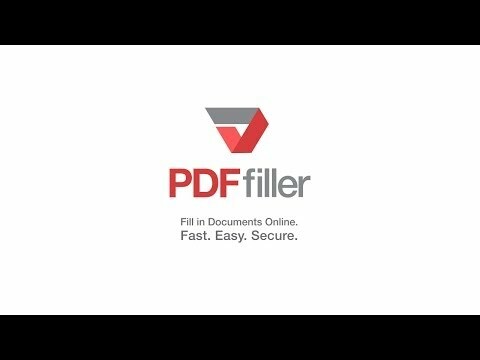 One of the advantages of keeping your documents with PDFfiller is that they are stored at a remote location which protects them against any potential data loss event. When you entrust PDFfiller with storing your documents, they are absolutely secure, and if this is not enough, you can protect them with 2-factor authentication and, for an added layer of security, add PIN-protected folders. In addition, you can access your documents any time from any internet-connected device. Moreover, you can grant access to your data to any person you trust. To get started, go to the MY DOCS and create a folder where you would like to upload your documents. Click on the Create New Folder icon. To upload a document to the newly created folder, click Add New Document. Then, click Browse Your Documents. Select the document you’d like to upload and press the Open button. Once uploaded, the document will instantly open in the editor. To return to the folder containing the document, click Done and select Go to MY DOCS. You can upload as many documents as you need by repeating these steps. If you like being able to use PDFfiller’s cloud storage, you might be interested in a range of other great features that PDFfiller has to offer. Some of these include encrypting documents, creating templates, making copies of documents, and converting PDF documents to Word, Excel or PowerPoint formats. Check out these tutorials to see the other great things that PDFfiller can do for you! Can I upload a Microsoft Word .doc document?